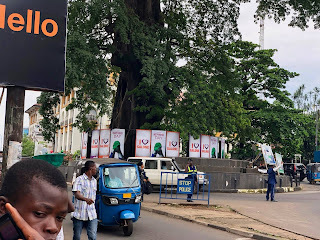 FREETOWN, Sierra Leone -The release of the Governance Transition Team (GTT) coincided with the arrest of former Vice President Victor Foh and former minister of mines and mineral resources Minkailu Mansaray---two events that set off some of the most heated debate since the final results of Sierra Leone's 2018 presidential election were announced. As the verbal confrontation raged between sympathizers of the Sierra Leone People’s Party (SLPP) and the All People’s Congress (APC), Sierra Leonean arguments spilled over to rising prices during the first one hundred days of President Julius Maada Bio. Two weeks ago, Sewa News took to the streets of the capital to undertake a series of interviews. The interviewees cover the spectrum in age, political affiliation, ethnicity, and region. After a cross-country helicopter flyover, former president Ernest Koroma told officials at a 2008 opening ceremony for customs and border officials that he noticed a huge swathe of Sierra Leone’s forest had disappeared. During the 2018 presidential campaign, Sierra Leone People's Party (SLPP) candidate Julius Maada Bio said that there was no accountability in the country’s timber trade. Immediately after he assumed power on April 4th, President Bio issued an executive order suspending the export of timber logs. 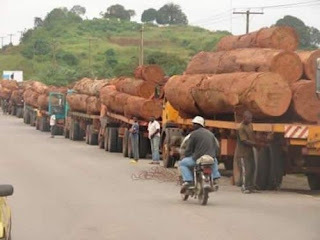 Since the resumption of timber exports took effect a few weeks ago, information reaching Sewa News indicates that a major stakeholder is Foday Rado Yokie, a former Member of Parliament who President Bio appointed to head a taskforce responsible for recovering government vehicles.